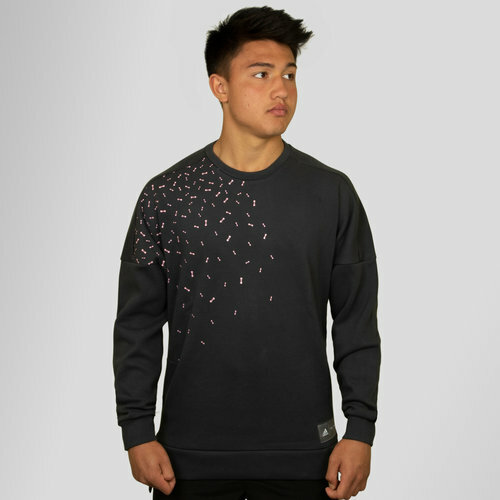 If you want to be ahead of the game in the style stakes then you need this adidas Eden Park Long Rugby Crew Sweatshirt in Dark Grey and Diva. This crew sweatshirt comes with Parisian style even though it's named after Auckland's famous stadium. The Eden Park French brand have joined forces with adidas to create a range of clothing that delivers rugby inspired Parisian fashion. This adidas ZNE sweater is made of cotton-blend knit with hidden side zips for quick and easy changes. This jumper is navy and finished with Eden Park's signature bow tie graphic on the shoulders and front.